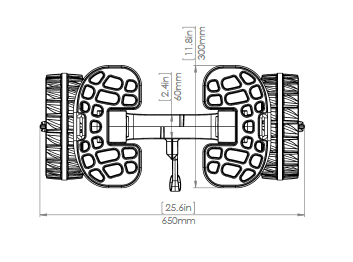 C-Tug Kayak Trolleys are now supplied with the New Zealand made Puncture Free Wheels, with hi-grip rubber tread, in place of the old-style pneumatic wheels, no more flat tires hassle free useage. If you have an old C-Tug with pneumatic wheels and want to upgrade, all you do is clip off your old wheels, and clip on the new ones, easy as!! The C-Tug Kayak Trolley is the most practical, lightweight canoe cart on the market. Made of quality engineering polymers, this trolley is great for all terrains, and will last many, many years.